Jordan Brand’s Flight Utility collection is all about designing for the future. This principle of forward thinking and innovation mixed with Jordan’s legacy is definitely translated onto this Air Jordan 720. Slated to be a women’s exclusive, this sneakHer is a break from the norm of retros. These futuristic kicks will be arriving in two subtle colorways of triple black and white/aqua. 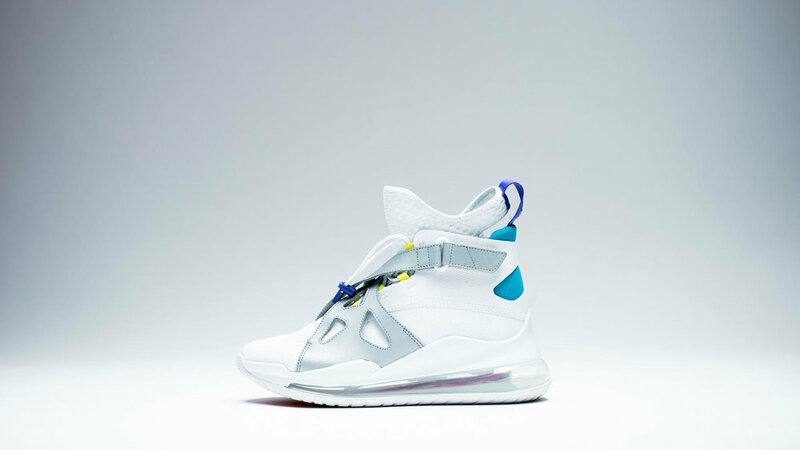 The textile upper of the sneaker has a bootie construction and is covered by Jordan 8 inspired straps. Taking the bold to the next level, this sneaker features the Air Max 720 cushioning unit. 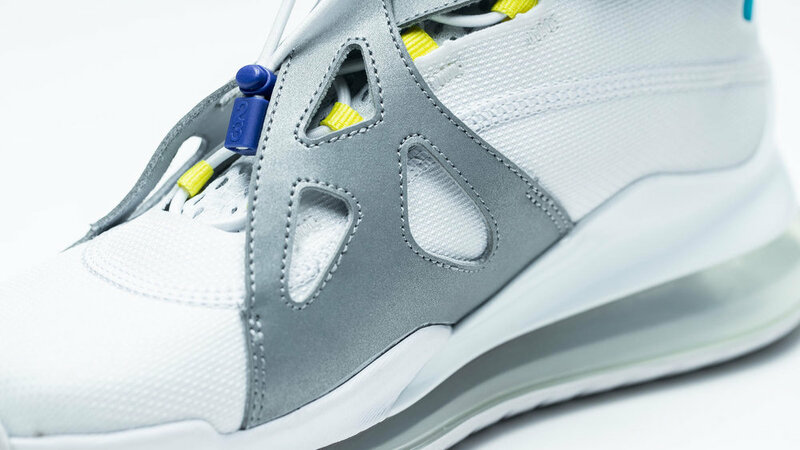 Get a closer look at both colorways of the Jordan Air Latitude 720 below. I love the focus on innovation and forward-thinking design from Jordan Brand. This sneaker’s air unit is also made of 70% recycled manufacturing waste, which is definitely a plus. Futuristic and a hint sustainability, is the Air Latitude 720 a cop or can? Let us know on Twitter and Instagram @CNKDaily! If you’re a fan of these kicks, we’ll definitely keep you updated when they release on July 6.